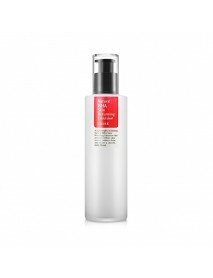 Collagen Regeneration Emulsion＇Product DescriptionThis moisturizing milk with marine collagen and other natural ingredients locks in the moisture and balances your skin's oil and water level.This light weight moisturizer actively combats su.. 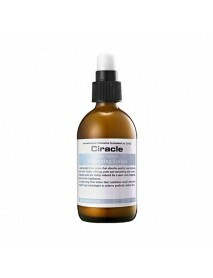 Premium Placenta Intensive Emulsion＇Product DescriptionIts placenta(Pig) extract and several cosmetic ingredientssupply gloss-deficient and dried skin with sufficient nutritions,keeps skin comfortable, fresh and moisture for a long timeyou are coated..
[CIRACLE] Anti Blemish Lotion [Description] Control excess sebum and refreshing texture without stickiness. It calm you're exhausted and sensitive skin and moisten your skin. 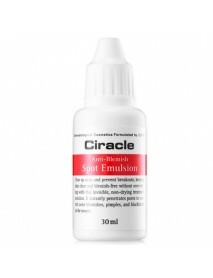 Centella asiatica extract is excellent calming effect and soph..
[CIRACLE] Anti Blemish Spot Emulsion [Description] Clear up acne and prevent breakouts, keeping skin clear and blemish-free without over-drying with this invisible, non-drying treatment solution. 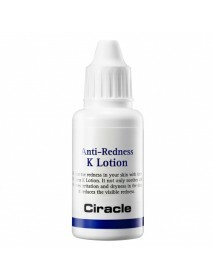 It instantly penetrates pores to control ..
[CIRACLE] Anti Redness K Lotion [Description] Reduce the redness in your skin with Anti Redness K Lotion. 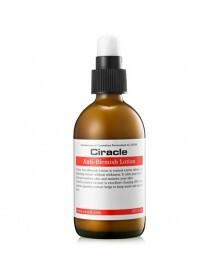 It not only soothes and relieves irritation and dryness in the skin, it reduces the visible redness. 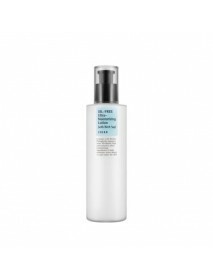 Anti Redness K Lotion helps cal..
[CIRACLE] Pore Control Tightening Lotion [Description] Tighten pores with elasticity giving bright pore treatment.Pudding type pore lotion to prevent greaseYogurt creamy texture gentle on skin. Fresh absorption on skin with sebum control.Non greasy..
[COSRX] Oil Free Ultra Moisturizing Lotion [Description] This cream was developed to be a perfect complement to COSRX’s famous AHA and BHA products.It contains 70% Birch sap, a powerhouse ingredient for calming and treating sensitive, irrita..
Gold Darling Plus Repairing Emulsion＇Product DescriptionThis is a repairing emulsion containing gold and snail mucin,delivering deep moisture to dry and sensitive areaswith its rich concentrated snail mucin for smooth and moist skin.＇How to useApply ..
[ETUDE HOUSE] Moistfull Collagen Emulsion [Description] Lotio with rich super collagen to give long lasting deep moisture.Emulsion with fine super collagen water with rich moisture baobab water quickly fills skin for moisture long last.Light moistu..